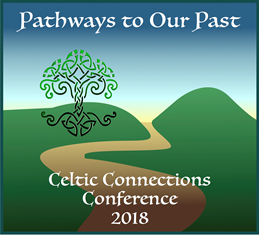 Registration is now open for the Celtic Connections Conference, “Pathways to our Past”, to be held on August 10-11 at the Boston Newton Marriott Hotel. This is the 3rd biennial conference co-sponsored by TIARA (The Irish Ancestral Research Association) and IGSI (the Irish Genealogical Society International). An impressive slate of speakers from Ireland, Scotland, England, Canada and the U.S. will present lectures about Irish, Scots-Irish, Scottish and Welsh genealogy, DNA, and culture. You’ll learn about exciting new ways to discover and interpret your family history and ancestral roots. The August conference will feature internationally-known genealogists Audrey Collins, Dr. Bruce Durie, Fiona Fitzsimons, Maurice Gleeson, John Grenham, and Christine Woodcock, along with Boston-area and national family history experts will introduce you to sources and research methods. Offerings outside the classroom highlight Celtic traditions in music, storytelling and conviviality. Early bird registration is discounted until June 4, 2018. Lodging is available at a special conference rate at the Boston Newton Marriot Hotel, Newton, MA. The 2014 and 2016 conferences drew attendees from across the U.S. and Canada and received rave reviews. No other conference offers this focus on Celtic ancestry and heritage, or such a stellar list of international presenters. Early registration is advised. For schedule and program information and registration see: www.celtic-connections.org.